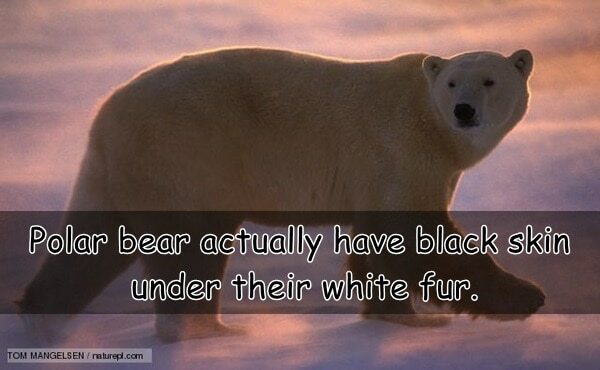 Polar bears are one of the most popular animals in the world. We mostly see them in cartoon and they are also spotted as toys. 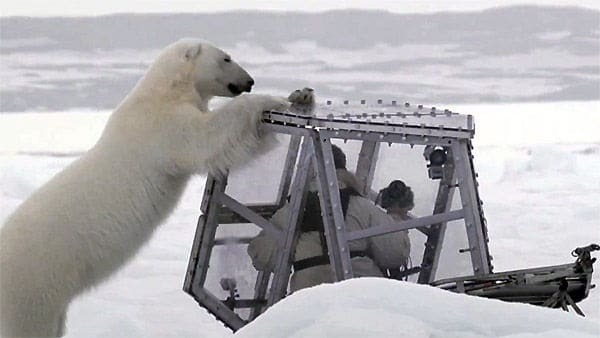 Polar bears are normally very fearless which makes them a good hunter. Mainly these animals are seen in arctic areas. 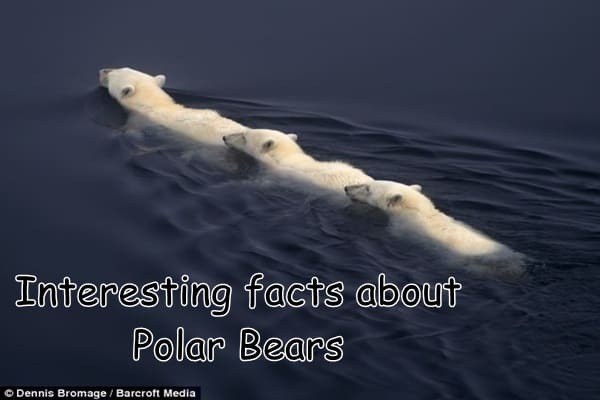 Here I will discuss some facts about polar bears. Polar bears are mainly regarded as marine mammals because they spent most of the time in sea water. Its preferred habitat is the sea ice covering the water. But nowadays they are facing lot of problems regarding climate change due to global warming. The word ‘Arctic’ means ‘where bears lives’ and the word ‘Antarctic’ means ‘without bear’. Seals are the main prey of polar bears. They have a great sense of smell. This helps them to find out seals for ice holes. After getting a seal, first of all they bite their head. 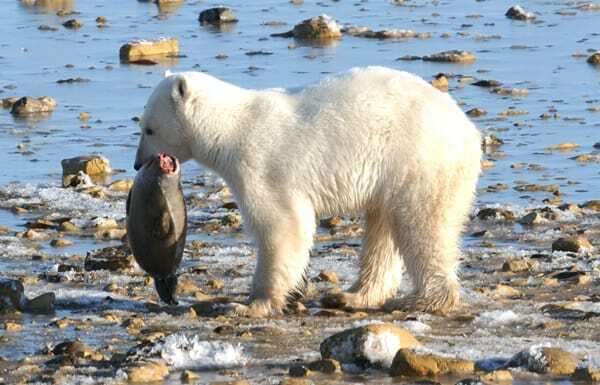 The matured polar bear tends to eat only the calorie rich skin and blubber while the younger ones consume the red meat of seals which are seen to be very rich in protein. After eating their food they wash themselves in water. Polar bears are very rarely seen to attack human beings until and unless they are severely provoked. In general the adult polar bears are often seen playing together but the younger ones are very playful. They have a wide range of vocalizations like roar, growl, chuffs and vegetables. 25 years is the expected life span of a polar bear. The females live longer than the males. A female can weigh up to 700 pounds while a male adult normally weighs almost 1550 pounds. Sometimes they become too weak to catch their prey and gradually starve to death. Polar bears injured in fights or accidents may either die from injuries or become incapable of hunting. Swimming is a great quality of polar bears. They are regarded as very good swimmers. 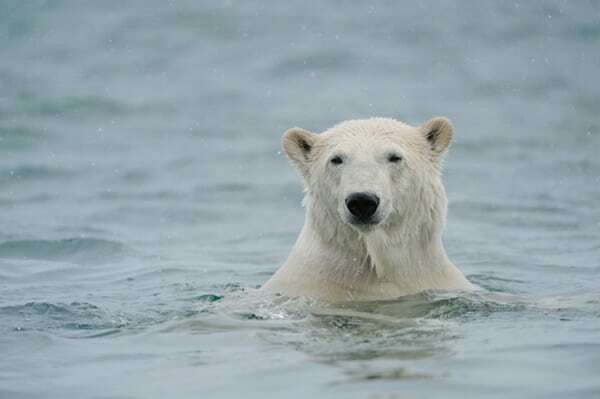 Normally a polar bear can swim 6 mph on an average. 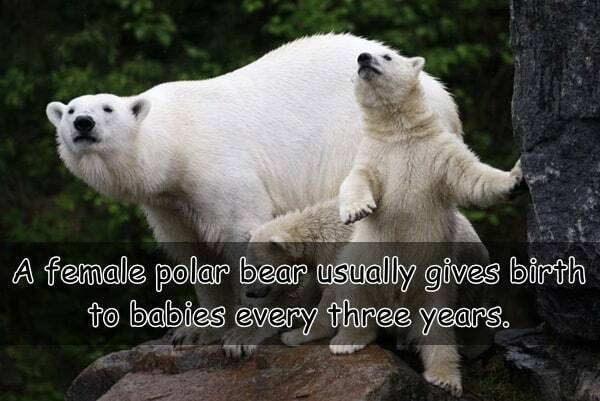 Polar bears normally live alone. Polar bears are not actually white rather they have hollow hairs covering their body which reflects in light resulting in white color. 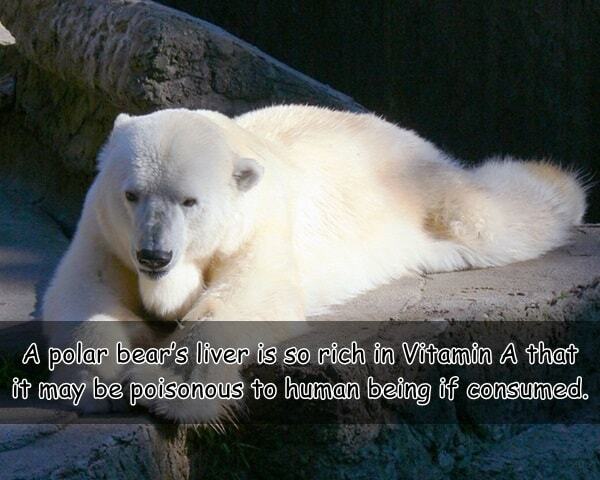 A polar bear’s liver is so rich in Vitamin A that it may be poisonous to human being if consumed. 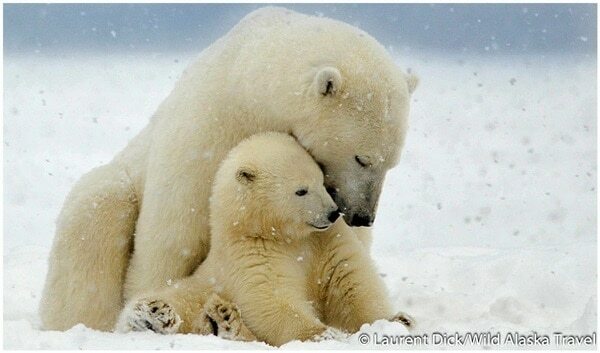 A female polar bear usually gives birth to babies every three years. 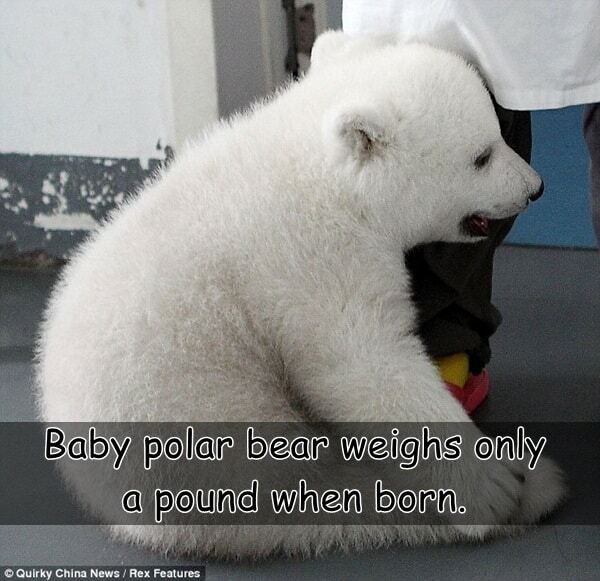 Baby polar bear weighs only a pound when born. 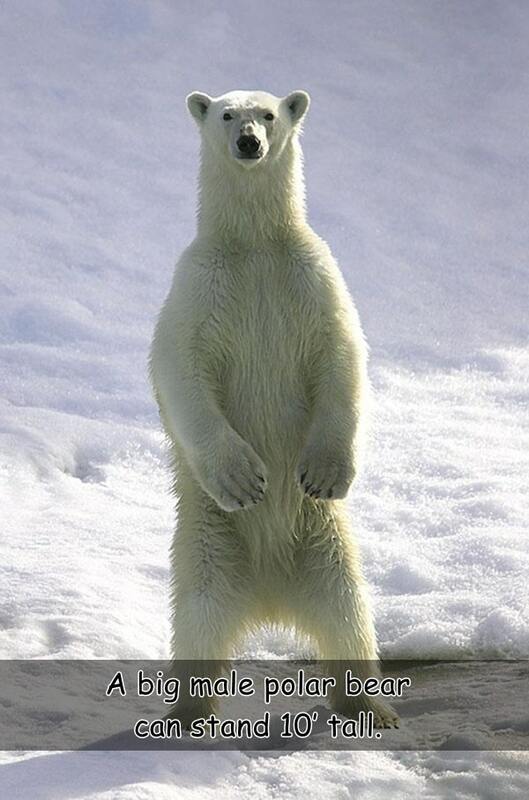 A big male polar bear can stand 10’ tall. 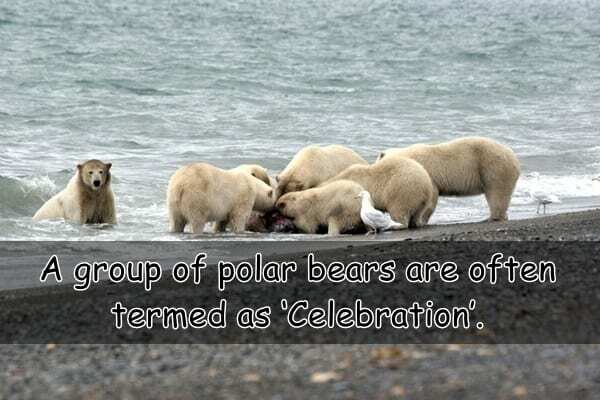 A group of polar bears are often termed as ‘Celebration’. 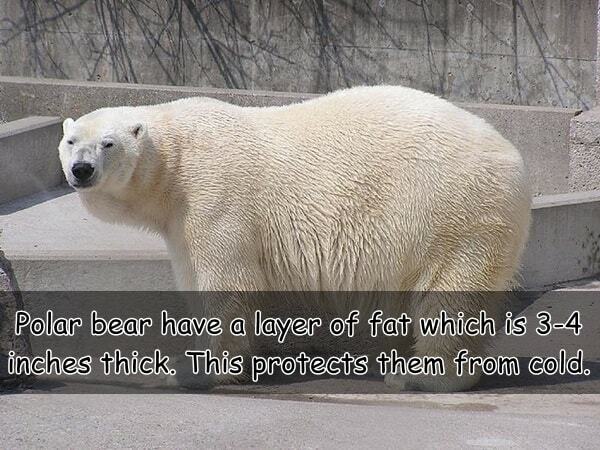 Polar bear have a layer of fat which is 3-4 inches thick. This protects them from cold. 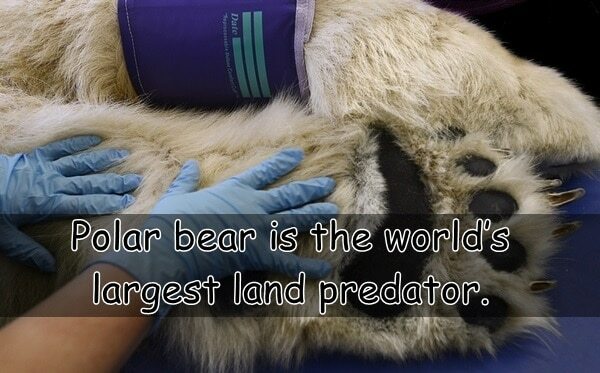 Polar bear is the world’s largest land predator. Although they are one of the rarest animals in this world now. According to IUCN , they are marked as vulnerable. Many recent measures of conservation have been taken about them.